From 1948 until 1994 (when Proposition 190 transferred the Code to the Supreme Court) California Judges Association members wrote and amended the Code. The Code, then and now, is based on the Model Code of the American Bar Association, adapted for California. CJA leaders continue to maintain expertise in judicial ethics and interpretation of the Code, and comment on proposed amendments. CJA’s Discipline Committee monitors this constitutional body empowered to investigate complaints against judges and impose sanctions for misconduct. Although CJP plays an important role in preserving public confidence in the judiciary, the judges have found it necessary to defend the principle that legal error is not subject to discipline by filing amicus briefs in selected cases, and to study their procedural rule and policies. CJA also publishes articles on the impact of the Commission’s actions. California Judicial Conduct Handbook, by David Rothman, is the definitive text on interpreting the Code of Judicial Ethics. Pocket part updates will be sent to members. 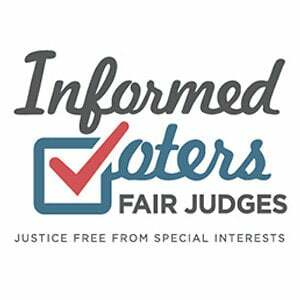 Judicial Ethics Hotline is available through the CJA office (9:00 am-5:00 pm), or directly from the roster on CJA’s website, www.caljudges.org. You may call any of the 15 judges who sit on CJA’s Judicial Ethics Committee, who will discuss your ethics question in confidence and give you a quick telephone answer. The answer will be confirmed at a later meeting for consistency and accuracy. The committee’s ‘Informal Opinions’ are advisory only—and strictly confidential. Formal Opinions on new issues appear in the Handbook and are circulated to members. Call 866-432-1CJA (1252) or (916) 239-4068. Ethics Update, sent to CJA members, is an annual summary of the new and often-asked questions from the 300+ inquiries handled in the course of a year. Judicial Discipline Advisory Panel is CJA’s confidential hotline to help judges respond to CJP letters of inquiry by offering expertise, perspective and support.